Learn to Scuba dive, including a dive on the barrier reef, in three hours with the Padi Discover Scuba course at West End Divers. Would you like to try Scuba Diving? 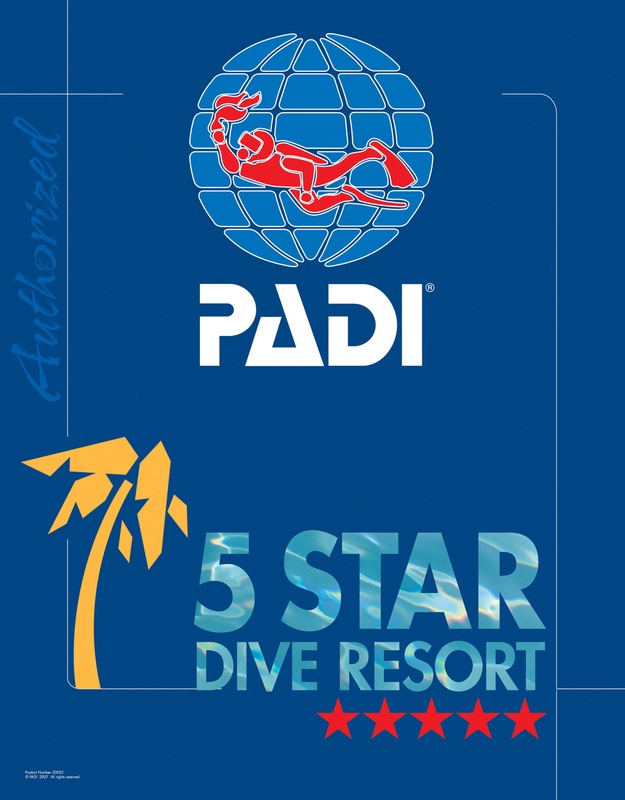 West End Divers offers Padi's Discover Scuba Course, which allows you to experience Scuba Diving in just three hours. All Scuba divers have to start somewhere and the Discover Scuba course is just the place. Without the expense of purchasing equipment or obligating yourself to any commitment, you can try an actual dive on the reef with a Padi Certified Scuba Instructor. Don't miss the opportunity to dive Roatan's incredible reef while you are here and see what all the fuss is about! The Padi Discover Scuba Course begins at West End Divers dive center with you arriving appropriately attired in swimwear. Don't forget to bring a towel! The rest is up to us, and we get started by introducing you to your instructor doing a bit of paperwork and chatting a while about the basics of Scuba Diving. With a general understanding reached, we go through the equipment we will be using and familiarize you with the functions. It's time to get in the water! We go to the end of the dock right in front of the dive center and get in the warm tropical water at a depth we can stand in. This is it, your first time breathing underwater! Warning: it can be a life changing experience. Here your Instructor will go through some basic diving skills with you involving things like buoyancy, and getting that pesky water outta your mask (very easily done), and in just a short time you are ready for the real deal! The highlight of the course is a 45 minute to one hour dive in the Marine Park on Roatan's spectacular reef (it really is!) guided by your instructor. The gear is put on the boat, and we go out to moor over a white sand patch about 25 feet deep where you will make your descent, and do the dive over the top of the reef. This is pretty amazing stuff with the myriad varieties of fish, coral, sponges and always the possibility of a turtle or two! The time may seem to go fast, but the tanks only hold so much air and eventually we surface get on the boat and back to shore. We hope this is your first of many dives here and wherever you may travel. To that end, your next step would be the Padi Open Water Certification which trains you to dive to a depth of sixty feet anywhere in the world. Here at West End Divers if you choose to continue diving and getting your certification, your Padi Discover Scuba experience and cost is applied towards your certification, and you are on your way. PADI Discover Scuba Course .... $100 ... this is the total price including all equipment. The course is three hours long including the dive, so you can easily try Scuba in an afternoon or morning during your visit, and we can arrange to fit any cruise ship guest's schedule. Just contact us and let us know you are coming.